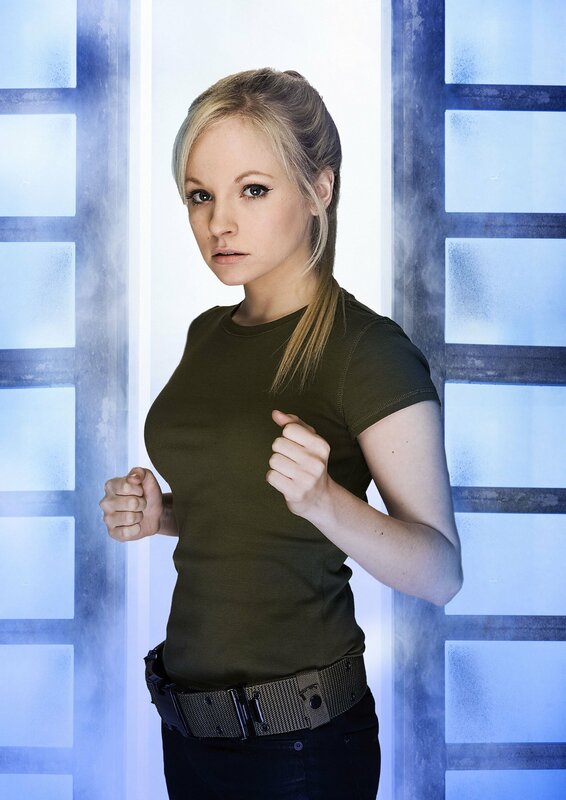 You may well recall Georgia Moffett from the Doctor Who episode called The Doctors Daughter. She was an artificially recreated solider based on the Doctor’s DNA. She was made famous for the line “I like the running” possibly because much of her audience also liked it when she ran down the corridors of the spaceship. Georgia Moffett is the daughter of Peter Davison who played the 5th Doctor in Doctor Who. Davidson and Tennant have actually played the role of Doctor Who together in the episode called Time Crash which aired for Children in Need. At the end of The Doctor’s Daughter we where left wondering whether the door to a spinoff series had been left open. Moffett continues to land acting roles in British TV series and recently had back to back episodes in the BBC’s Merlin. David Tennant and Georgia Moffett started to date when they met filming The Doctor’s Daughter (or perhaps just afterwards), are now engaged with a wedding date announced as New Year’s Day 2012. This is both awesome and disturbing at the same time. Props to my favorite doctor to get an awesome wife, but she’s his daughter in at least two ways(Possibly more as Time is Wibbly Wobbly…). Since she’s the daughter of the fifth, and genetic double artificially aged and taught, Tennant has got to be careful to avoid paradoxs.